EDC investor and recreational sporting events organizer VAVi Sport & Social Club was looking to make a big splash at its first major international competition: a 20,000-person obstacle course and race in Sydney, Australia. Little did VAVi know its shipment of inflatable obstacles would present its own set of obstacles. Having been a part of the 2015 global export assistance program MetroConnect, VAVi CEO Steve Stoloff called on EDC and the organization’s World Trade Center team to leverage its international network for support. EDC staff contacted the U.S. Commercial Service – the trade promotion arm of the U.S. Department of Commerce – to ensure the forgotten equipment would be loaded onto another boat bound for Australia. Staff also reached out to contacts in Sydney to coordinate on-the-ground transportation from Brisbane to Sydney, since this new boat would no longer be porting in Sydney. And it didn’t stop there. EDC’s board of directors stepped up to the challenge. Helping recover some of the money lost in the fuss, Linde Hotchkiss, managing partner at the global risk advisory and insurance solutions firm Willis Towers Watson, counseled VAVi on the qualms of international shipping and helped facilitate an insurance claim. With all hands on deck, VAVi received its shipment and salvaged the prominent event – saving one-fifth of the company’s yearly projected sales. This is not simply a company story of overcoming obstacles in going global, but of the collaborative nature of San Diego’s business community. This is who San Diego is. EDC has great investors. From Fortune 500 companies to small businesses, we have investors that are contributing to the local economy, creating jobs, mobilizing the community-at-large, and serving as the backbone of San Diego’s vibrant economy. Introducing the Investor Spotlight Series: Every week, we will take a closer look at one company or organization that is underwriting our economic development efforts. Not only do these companies accelerate our economy, but together, they are writing our regional narrative and illustrating how San Diego serves as a magnet for investment, talent and innovation. Their business decisions drive our region's economic growth and answer the question: Why San Diego? To kick this series off, we spoke with Vavi Sports & Social Club CEO Steve Stoloff. Since 2002, VAVi Sport & Social Club has brought together adults who want to have fun in San Diego through a variety of sports leagues, social events, vacations and volunteer opportunities. An Inc. 5000's fastest growing company, VAVi has chosen to locate in San Diego, but the year round sunshine isn’t the only reason the region is the headquarters for this sports and active lifestyle company. Behind the curtain is an entrepreneurial and innovative company that’s helping organizations across the country rethink the way they produce large scale events. VAVi brings fun to life! We are Southern California’s largest organizer of co-ed social sports and activities for active young professionals. Over 90,000 members in San Diego participate in our softball, kickball, dodgeball and soccer leagues and attend our social events like the New Year’s Eve Beach Party at the Catamaran Resort in Pacific Beach. We also launched several 5k obstacle races, including the Del Mar Mud Run and the Ridiculous Obstacle Challenge 5k (better known as the ROC Race). We also are very active in the community, and in the past few years, we’ve raised nearly $200,000 for the Challenged Athletes Foundation through our events and activities. San Diego is the perfect home for a sports and active lifestyle business. With perfect weather year-round, there are plenty of opportunities to get outside and get active. Our event calendar runs from January through December, with small breaks for the holidays. We partner with similar organizations all across the country, and they have to shut down the majority of their activities during the winter months – that’s simply not the case here! San Diego is also a great sports town, and the sports business community is thriving. Organizations like San Diego Sport Innovators help bring like-minded entrepreneurs together and those connections accelerate innovation and growth! Carlsbad is home to the Action Sports and Olympics Division of the Wasserman Media Group. Steve Astephen, John Lee and the Wasserman team represent athletes at the top of their game – they represented 25 athletes in the recent Winter Olympics held in Sochi, and 7 of their athletes medaled! They are a leader in the Sports and Active Lifestyle industry, and are very active in the local business community. 4) What’s in store for VAVi in the next five years? I expect VAVi to continue to be the leader in adult recreational sports for many years to come. In a world that’s increasingly digital, people need an outlet to unplug and have some fun. Experiences are increasingly becoming a new form of luxury, and our events provide great conversation for the proverbial water cooler (not to mention, the photos are great Facebook fodder, too). We are continuously adapting and innovating, so some of our events may no longer exist, but I’m sure we’ll come up with new ideas to take their place. 5) What’s next for San Diego? I expect San Diego to continue to grow and thrive just like VAVi. Many of the brightest innovators and entrepreneurs in the country call San Diego home, and with organizations like EDC helping to support local economic development, I’m excited to see what the next five years has in store. 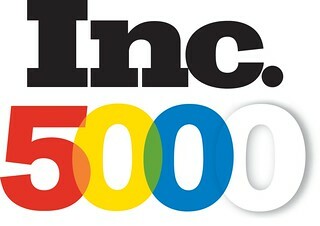 Earlier this week, Inc. magazine released its annual Inc. 5000 list of fastest growing companies. 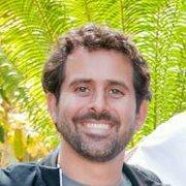 More than 100 companies in San Diego metro made the list, including four EDC Investors: SKLZ,Sentek Global, D&K Engineering and VAVi Sport and Social Club. Other prominent San Diego region businesses made the list, such as Stone Brewing and Quality Controlled Manufacturing, who recently participated in San Diego Manufacturing Day with EDC and other regional partners. The Inc. 5000 list ranks companies by revenue growth from 2009 through 2012 for companies that are U.S.-based, privately-held, for profit, and independent with 2012 revenues greater than $2 million. The 101 San Diego companies on the list totaled more than $1.75 billion in annual revenue in 2012. Among all US metros, San Diego had the 13th most companies on the list. This list shows San Diego's businesses are gaining steam. While we're home to one percent of the nation's privately-held businesses, San Diego companies make up 2 percent of this year's Inc 5000 list. Click here to see the full Inc. 5000 list. Click here to see the full list of San Diego metro businesses.